large lens with streamlined frame geometry expands peripheral view in every direction. Features: Flexible O Matter™ frame optimized for comfort, fit and maximized peripheral view. Durable, lightweight frame with superior impact protection and wide-open view. Triple-layer face foam fleece to wick away sweat. Discreet frame notches at temples to provide compatibility with most prescription eyewear, without compromising fit. Secure fit of wide, adjustable elastic strap with triple silicone beading. Large Lens with streamlined frame geometry in a compact frame size for wide range of helmet compatibility. 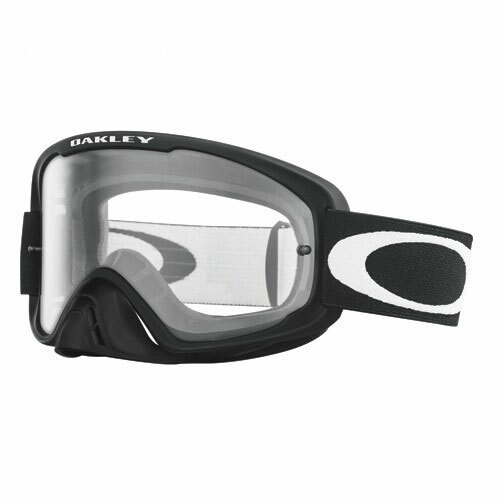 Includes scratch-resistant and impact-resistant lens with anti-fog treatment, removable noseguard and laminated tear-offs.